Free printable planner stickers. 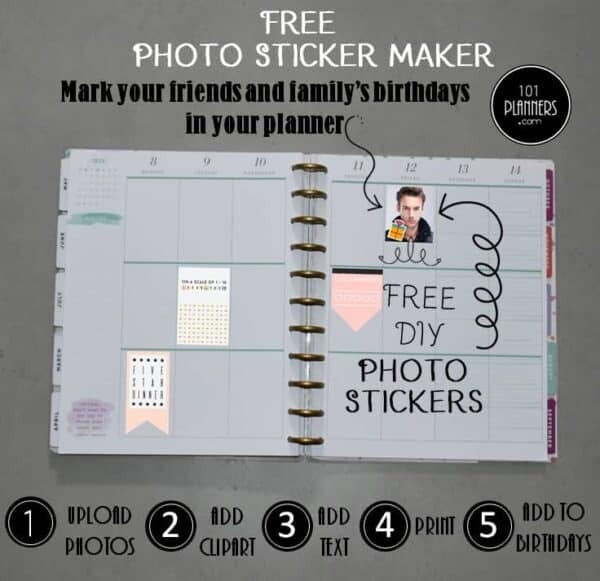 You can erase the text or edit it before you print to customize your free planner stickers! You can also add additional text if you want. Instant download with no registration required! 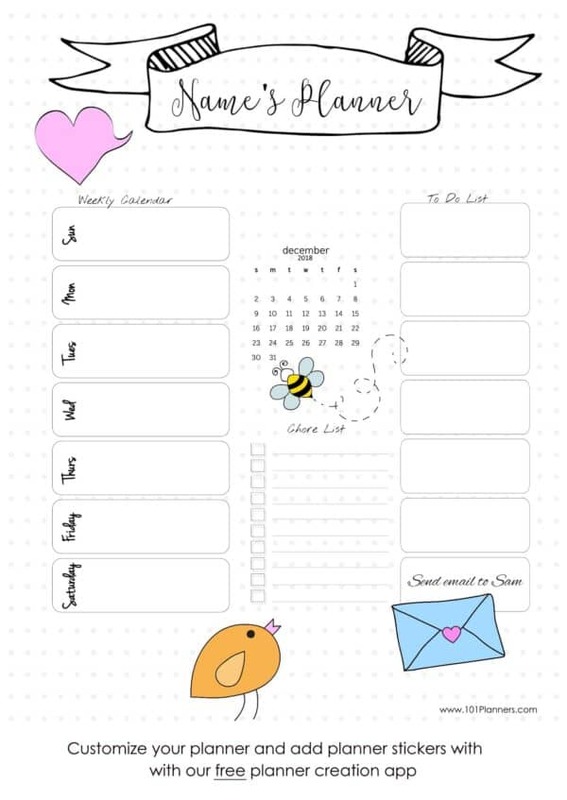 Select the size of your planner to open the sticker maker app. 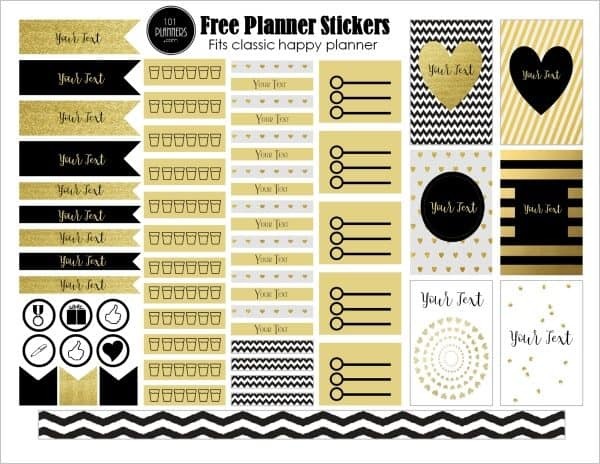 All planner stickers print on full sheet labels ( 8.5” x 11” size). 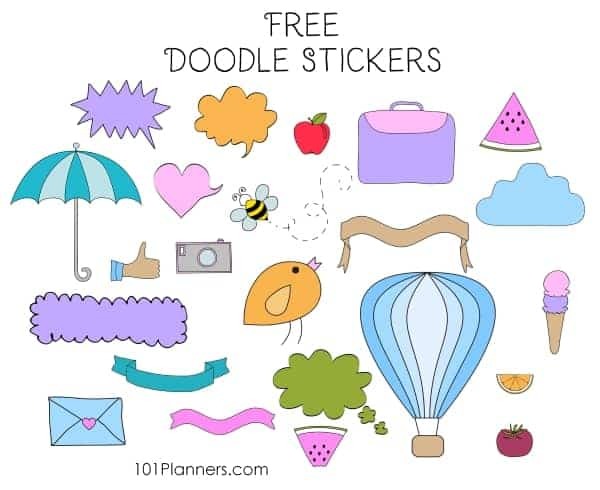 Free printable planner stickers. Use the free sticker maker to print only the stickers that you want. Make them bigger or smaller and add your own text. Download them or print them on sticker paper. You can also print on regular paper and apply with paper glue. 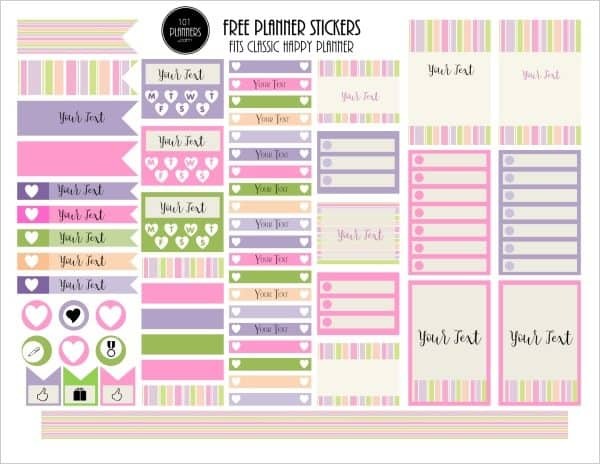 You can also add the planner stickers to many of the printable planners on this site. These photo stickers can be used to mark birthdays and other events. 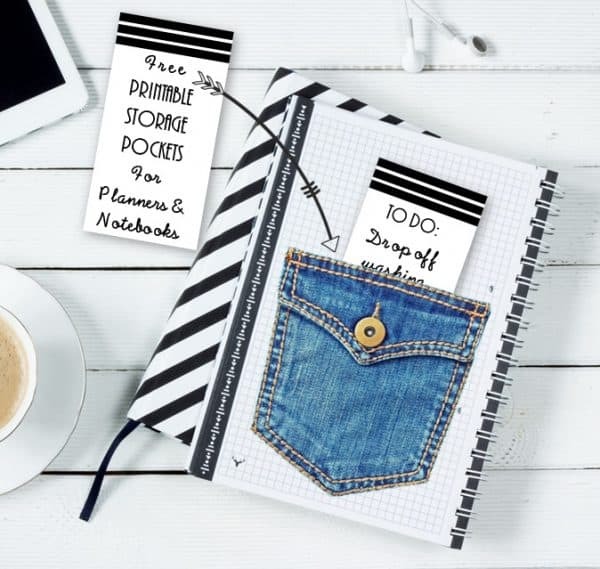 They fit most planner sizes. Our free sticker maker app will enable you to insert photos, add icons to mark the event and add text. You can then print on paper and adhere with glue or on sticker paper. You can cut them with a scissors one by one. You can cut them with a guillotine paper cutter. This only works when the stickers have straight lines (i.e. squares and/or rectangles). You can cut them with a cutting machine (such as Cricut or Silhouette). See Cricut Stickers. Tip: You can print a planner sticker on regular paper and then adhere with paper glue. There is no reason to buy sticker paper which often costs a lot more. If you will be making many stickers then you might prefer to save time and use sticker paper. 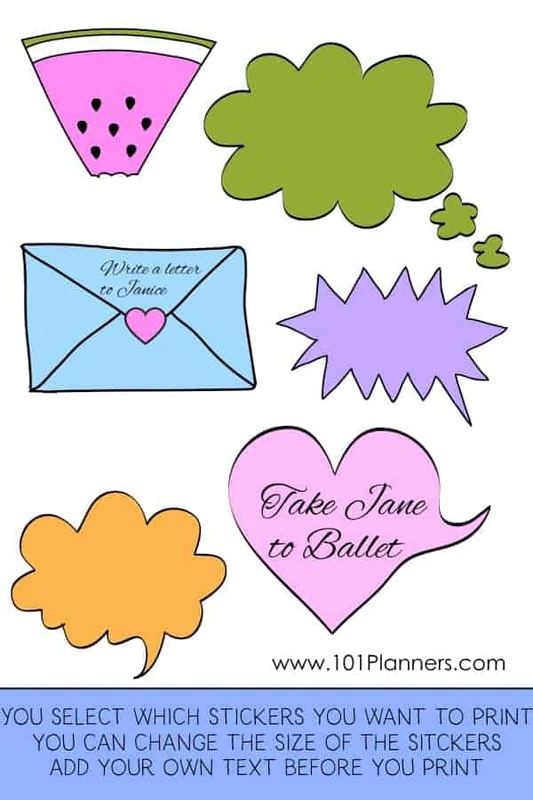 The printable stickers can be downloaded as a PDF file or as an image (png). To download as a PDF click on the little-folded page icon. To print as an image click on the little cloud icon.